One of the great Techno 12" releases of that era. Timeless.. 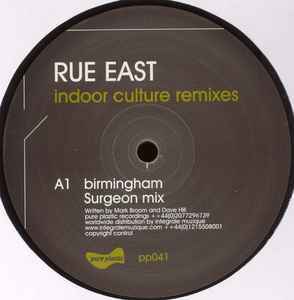 Nothing else quite sounds like the remix Surgeon offers here. It's as if all the bark has been taken out of the typical Surgeon sound architecture and arrives instead in cool sophistication. Leaving all of the bite. Perhaps even more effective in fact. The dialogue going back and forth between those mallets/bells is a slippery device as well as the hi hat clap arrangements.